Update: Today the Nobel Prize for Chemistry has been awarded to National Institutes of Health grantee Frances H. Arnold, Ph.D., of the California Institute of Technology, for the directed evolution of enzymes The Nobel Prize and Prize in Economic Sciences have been awarded to women 49 times between 1901 and 2017. Only one woman, Marie Curie, has been honoured twice, with the 1903 Nobel Prize in Physics and the 1911 Nobel Prize in Chemistry. 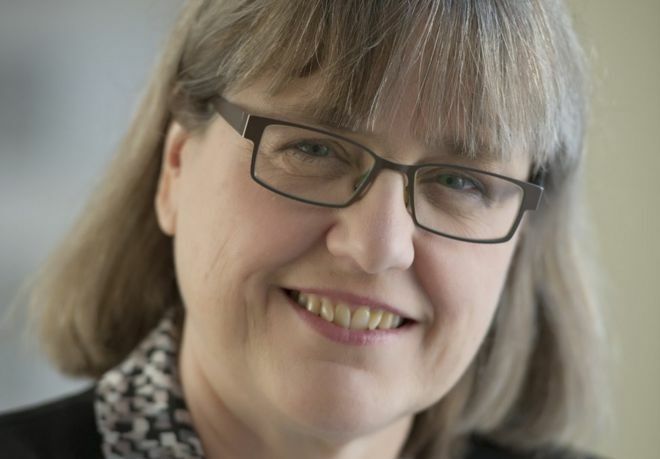 Canadian scientist Donna Strickland calls herself a "laser jock". The physics professor used the description in an interview with a Canadian newspaper, where she discussed efforts to get young people interested in the realm of physics. Dr. Strickland has spent much of her life studying and teaching physics, and describes her research as "fun". Dr. Strickland, along with Arthur Ashkin, from the US and Gérard Mourou, from France, were awarded the prize on Tuesday "for groundbreaking inventions in the field of laser physics". The scientist was born in 1959 in Guelph, Ontario. She went on to receive her first degree in the field of physics in 1981, graduating from McMaster University. She studied optics at the University of Rochester, in New York state, working towards her Ph.D. under Dr. Mourou. It was at the University of Rochester that the pair co-invented Chirped Pulse Amplification, a "method of generating high-intensity, ultra-short optical pulses" for which they were awarded this year's prize. That invention has a variety of applications, including corrective laser eye surgery. Dr. Strickland said they were aware at the time they were working on something cutting-edge. "Yes, we knew it would be a game-changer," she told the BBC. She paused and laughed: "Gérard [Mourou] knew - and told me, and I believed him." Dr. Strickland, who was drawn to the field by a "gut reaction", says the work felt exciting despite the long hours. She has been teaching at the University of Waterloo, in Ontario, Canada, since 1997, where she oversees an ultrafast laser lab and works with a team of undergraduate and graduate students. "The most fun part of my day is when I get to play with my lasers," she told The Record in 2010. "I've been doing this a long time, and I still think it's fun." She also said she wanted to attract young people to the field by fighting the perception that science was nerdy — hence her use of the term as a "laser jock" rather than a "laser geek". The Canadian scientist says the term comes from her time in grad school and the difficulties of getting short pulse lasers to work. Those who had an aptitude for it thought they were "pretty good with their hands" and began using the moniker. Dr. Strickland says she is surprised at how long it has been since a woman was honoured with the Nobel Prize in Physics. She noted Maria Goeppert-Mayer, who was awarded the prize in 1963, went unpaid for much of the time she was working on her award-winning research. "I've always been treated as an equal," Dr. Strickland said. "I got paid the same as my male counterpart grad students and onward. So things have changed and hopefully keep changing for the better." The Nobel Prize will be just the latest accolade the scientist has received for her work. In 1999, she received the Ontario Premier's Research Excellence Award, and in 2000 she was the recipient of the Cottrell Scholars' Award, which recognises scholars for their research and academic leadership. In 2008, she was named a fellow of the Optical Society of America for her pioneering work in the field of ultrafast laser and optical science. Dr. Strickland has said she enjoys the competitive rush of pushing the boundaries of what lasers can do. Her field of research is all about "who has the shortest pulse, the most energy, the highest average power", she told the University of Waterloo in 2011.